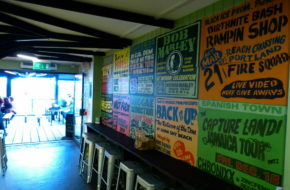 Looking for a new place to eat? 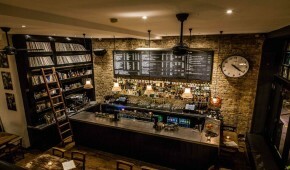 Want a different pub to drink in? 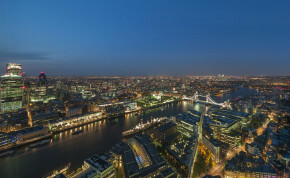 Discover new things to do and places to go across London. 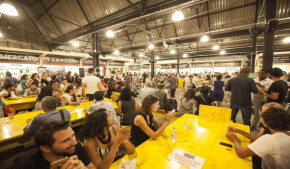 Mercato Metropolitano has been an undeniable success and singlehandedly brought about the gentrification process to Elephant and Castle. 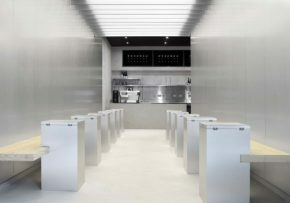 There are mindboggling options available for lovers of the finer things in life but wine connoisseurs should make a beeline to Bottles & Battles. 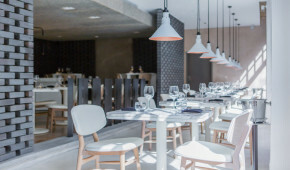 The menu at Kaspar's starts off with a beautifully, poetic line "Not bound by the seasons, but inspired by them" and that is the general feeling you will get when visiting this renowned seafood restaurant: poetic elegance. 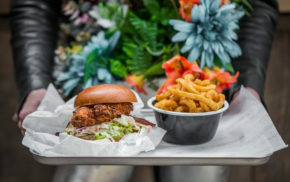 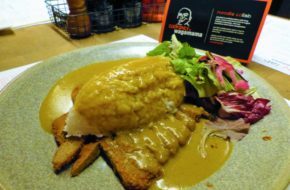 Despite the revered location on King's Road, there is zero ostentatiousness at the culinary institution that is Big Easy which has been opened since 1991. 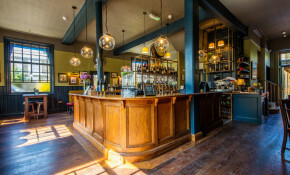 With the reported closure of at least 1 pub a week in London, it is particularly heartwarming to visit a successfully run neighbourhood pub, in the form of The Belrose in the upscale Belsize Park. 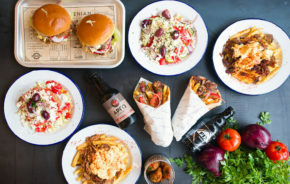 We love supporting independent restaurateurs here at Townfish, so it was a real delight to have discovered the story behind The Athenian. 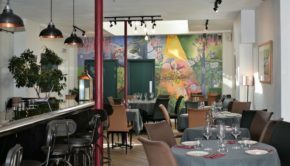 There are plenty of charming gallic restaurants in London, but sometimes you just need the right recommendations to find them. 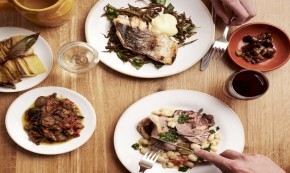 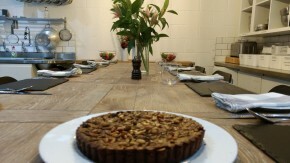 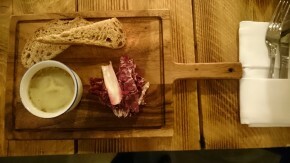 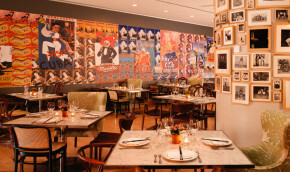 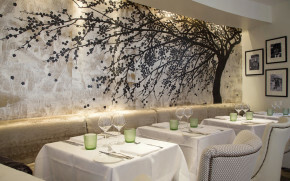 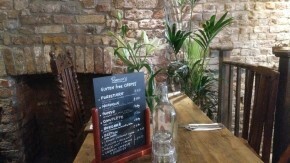 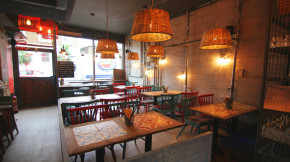 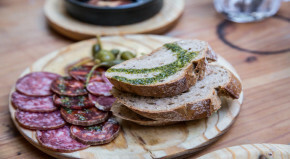 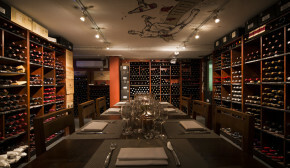 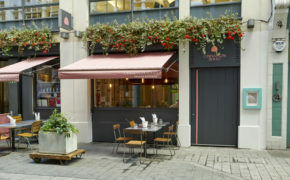 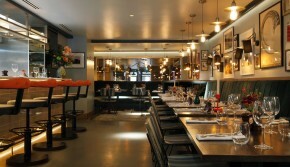 One to consider is rustic, welcoming Comptoir Gascon. 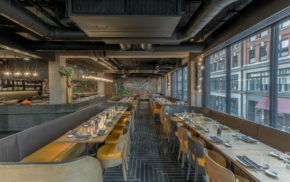 If you've ever walked past the fascinating building that looks like it was from the set of Inception with its sharp geometric lines near the silicon roundabout, now is your chance to explore the inside of the building with a great restaurant called Plate. 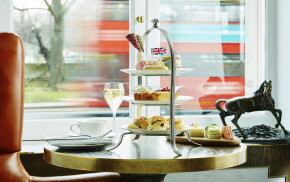 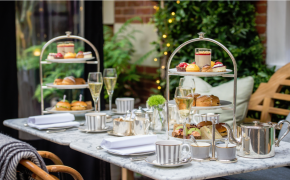 The afternoon tea market in London is notoriously competitive, so it takes a very strong product to stand out from the crowd. 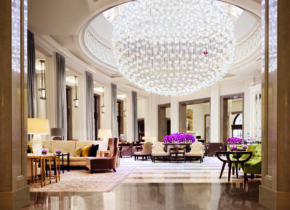 At the apex of your options is the classy offering from the team at Corinthia Hotel at the Crystal Moon Lounge. 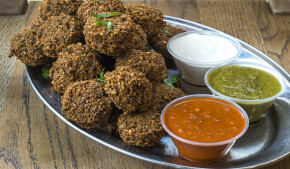 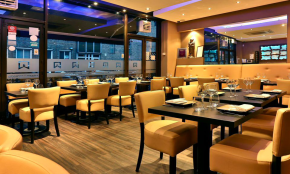 If you were asked what's your culinary highlight of Elephant and Castle, most people would struggle to name any; but fear not, there is a shining beacon of light that has recently arrived on the scene in the form of Paladar. 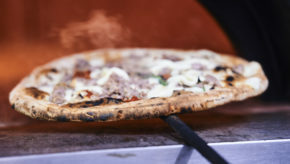 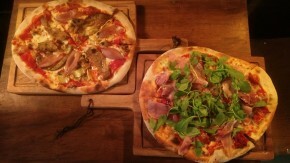 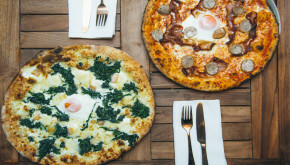 It is fascinating to see the development of gourmet pizza on the London dining scene in recent years. 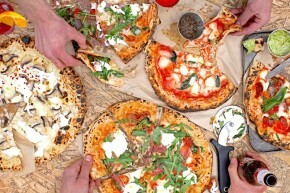 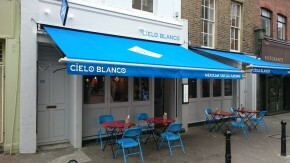 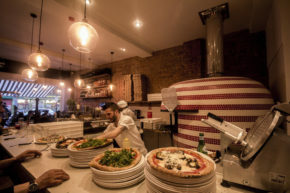 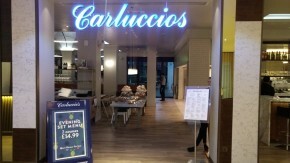 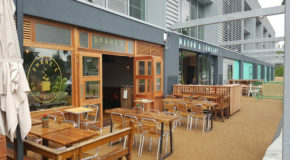 Both Santa Maria and Franco Manca started out around the same period in 2008-2010. 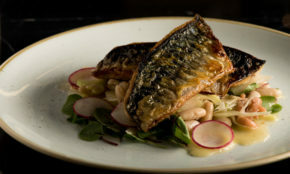 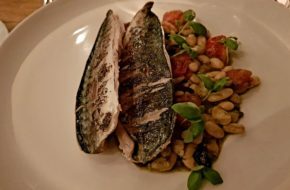 We've checked out plenty of cookery masterclasses at Townfish but none have such a homely, inviting feel as the venue at Food at 52. 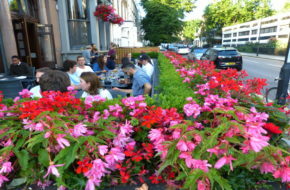 If it wasn't for the fact The Lord Palmerston is in Tufnell Park, tourist would be flocking to visit this welcoming, traditional British pub as an example of the "London experience"
The ever-popular Grand Union, Brixton has been taken over recently by the ever-reliable Young's & Co and they have reverted back to the former name of Hope and Anchor. 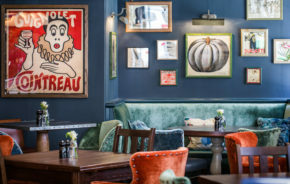 Sophistication and pubs/bars are not generally comfortable bedfellows, but an excellent example of how this could work is in evidence at The Alfred Tennyson in Belgravia. 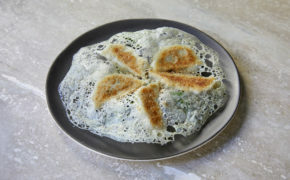 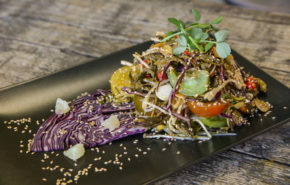 Lahpet: Could Burmese cuisine be the next hot trend on the UK dining scene? 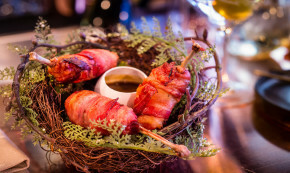 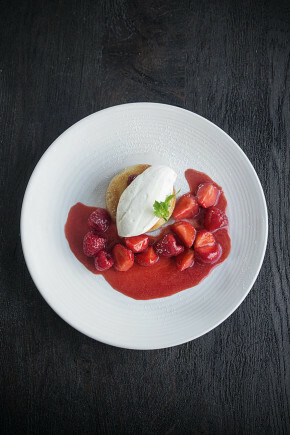 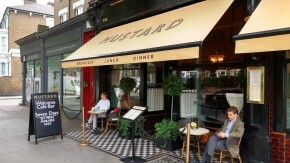 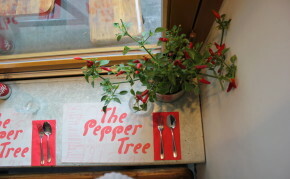 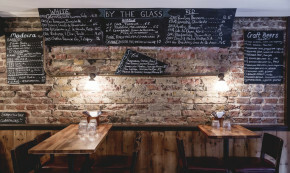 Keen London restaurant diners are always on the lookout for the latest trends. 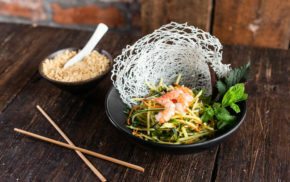 A few years ago, it was Korean food, recently it's been bubble waffles, could the next big thing be Burmese cuisine? 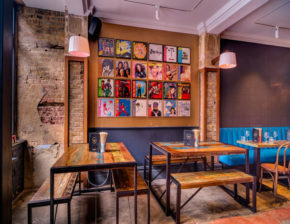 When Ed Balls Day comes around again, we know there is only one place to celebrate this great occasion, Curveball in Balham. 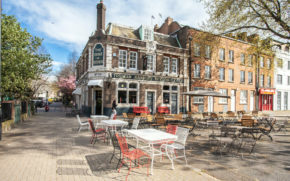 Ask any Claphamnite, what's the most desirable area they want to live in and plenty of responses will be for the Old Town in Clapham with its genteel, respectable charm. 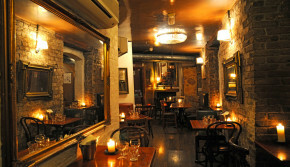 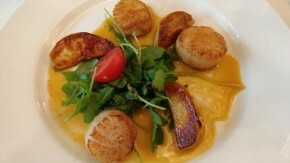 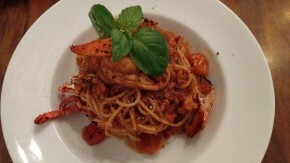 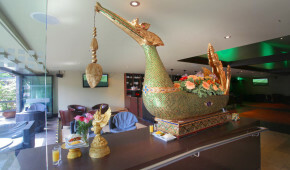 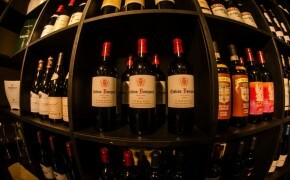 One of the most popular dining and drinking venues in that part of town is No32 The Old Town. 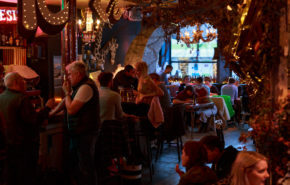 We've all been there: a decrepit old English pub with no seating space watching England losing another football match for the umpteenth time. 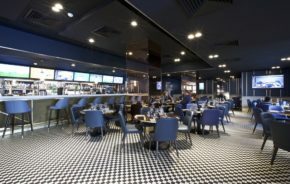 Watching live sports in bars and pubs can be a taxing affair. 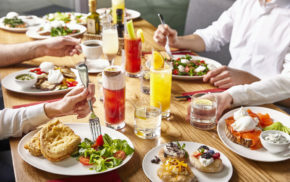 Weekend brunches are not always the healthiest of activities with offers of bottomless food and drinks. 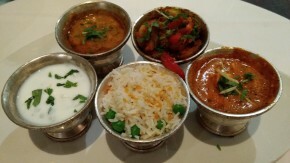 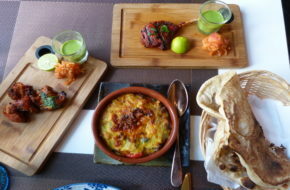 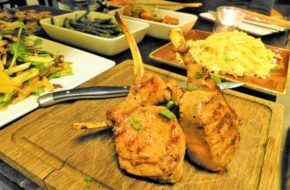 There are a disproportionately high number of Indian restaurants in East London, which makes the task of identifying the wheat from the chaff are mindboggling affair. 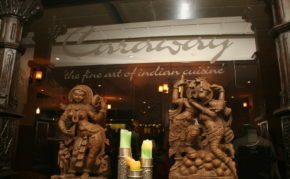 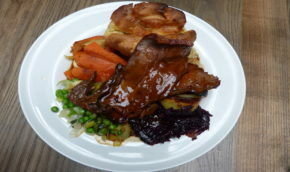 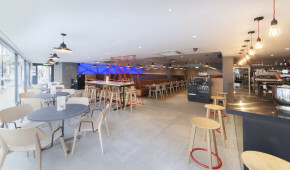 For the lucky residents in Romford, they should make a beeline for Caraway Lounge. 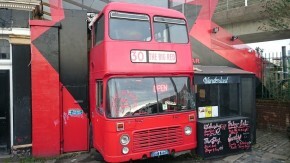 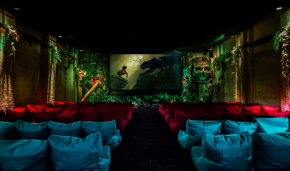 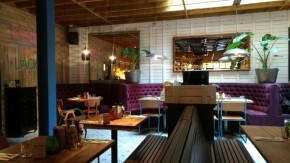 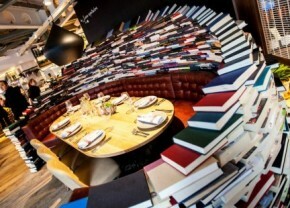 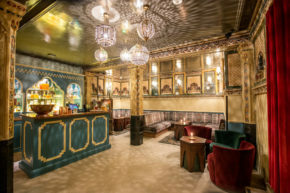 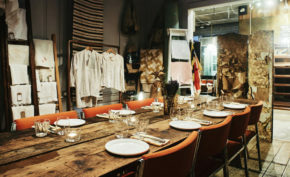 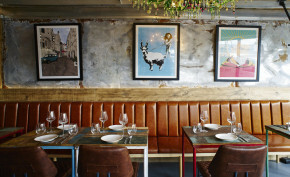 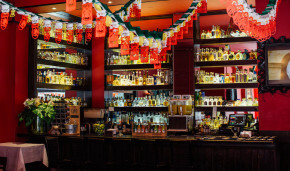 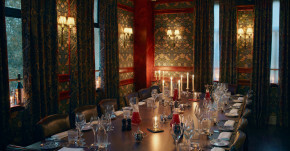 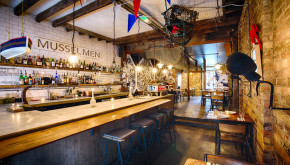 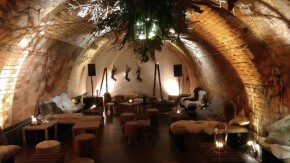 LASSCO Bar & Dining must be one of the most unusual venue spaces you will find in London. 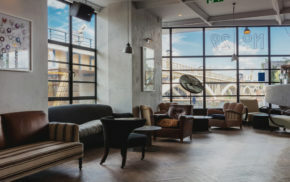 The LASSCO (London Architectural Salvage and Supply Company) Ropewalk warehouse stores all types of reused and salvaged items. 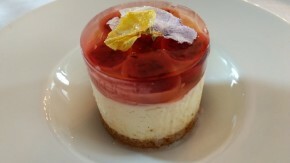 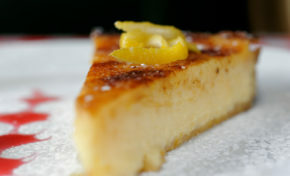 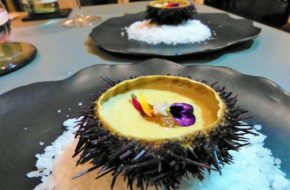 There are times when you visit a restaurant, you end up receiving more than just a culinary surprise. 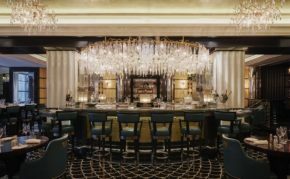 This was very much the case in point on our recent visit to 100 Kensington. 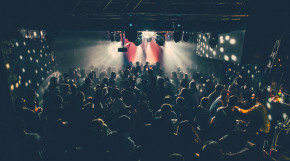 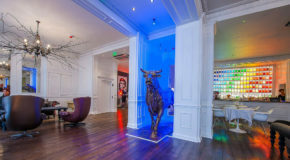 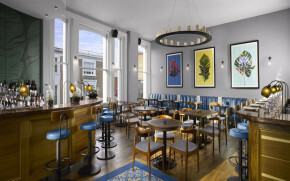 It is situated at The Exhibitionist hotel, which is a boutique, luxury venue in South Kensington that also happens to be a modern art lover's paradise. 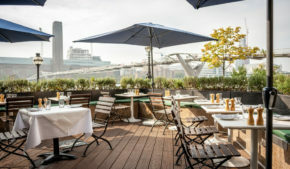 Northbank isn't the easiest restaurant to locate, being tucked away underneath the Millenium Bridge on the St Paul's side. 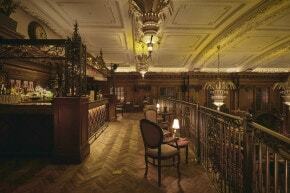 However, this is one hidden gem worth tracking down for countless reasons. 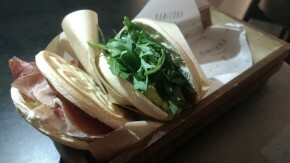 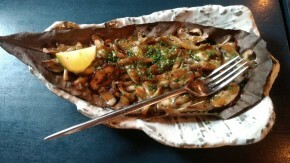 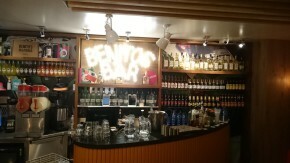 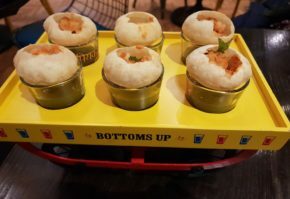 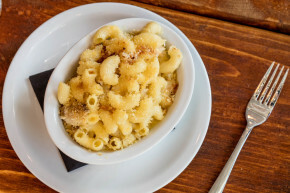 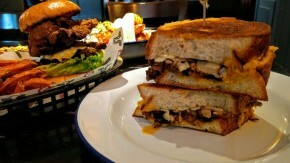 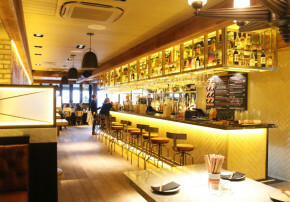 BungaTINI, Covent Garden: It's cheesy and we love it! 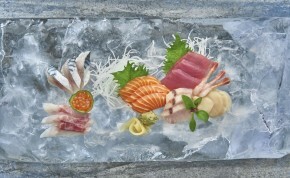 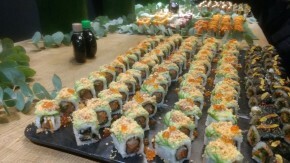 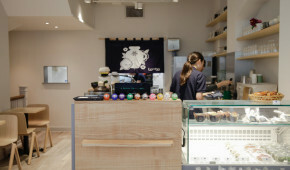 With a multitude of sushi options like Itsu, Wasabi and Yo! 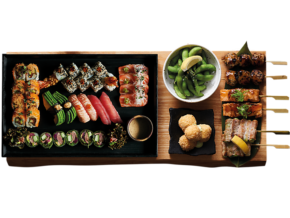 Sushi, do we genuinely need another sushi takeaway option in London? 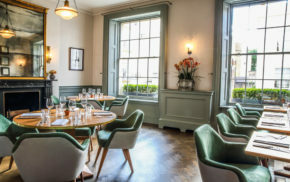 If you've ever visited the charming four star Montague on the Gardens Hotel, you will know it is situated in a row of fine Georgian houses in close proximity to the British Museum. 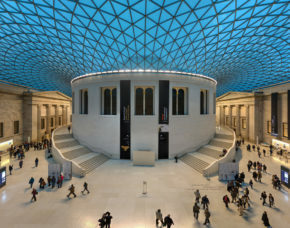 It has an old world charm, which you suspect the many visitors of the British Museum would appreciate. 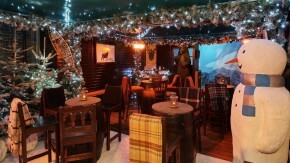 However, what you might not expect, is a magical winter wonderland in their back garden terrace. 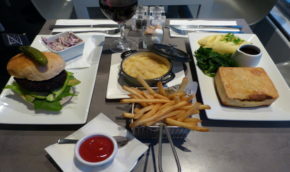 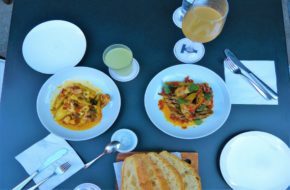 You've eaten out at countless restaurants, the food is marvellous but it all feels rather passive, especially if you are taking someone out on a date. 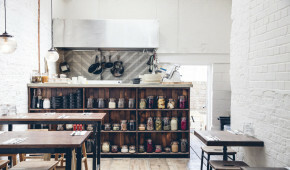 What would be a better option? 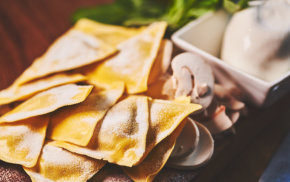 There are over 350 types of pasta in the world with all kinds of shapes and sizes. 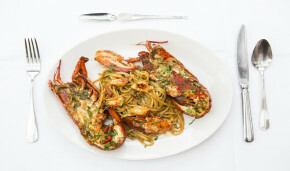 Have you ever wondered why you can't have your favourite pasta with your favourite sauce? 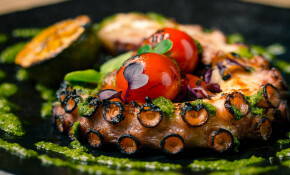 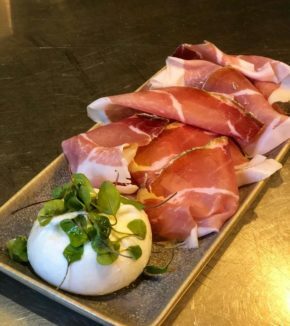 L'Anima means soul in Italian and that is precisely what the team at L'Anima aim to achieve whether it is the type of food they want to serve to their guests or the serenity in their decor. 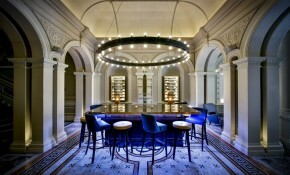 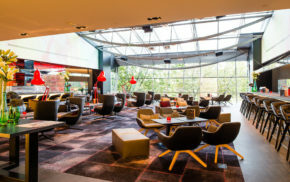 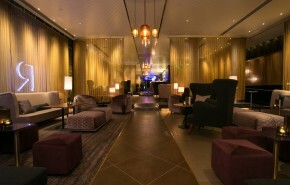 Trendy, stylish, luxurious, these words have been lavished endlessly at the Andaz hotel in Liverpool Street. 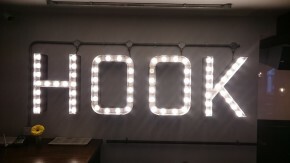 Recommending quirky, challenging and fun activities is what we love to do at Townfish. 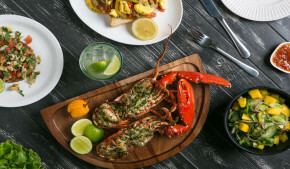 Amidst the plethora of burrito eateries and tex-mex restaurants in London, it is easy to lose sight of what Mexican cuisine is all about. 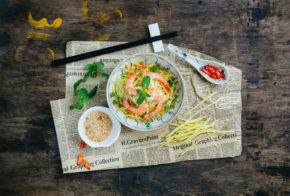 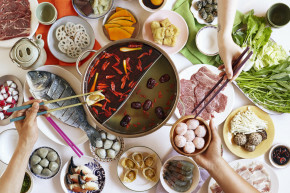 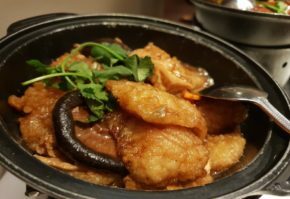 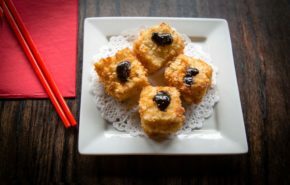 When you visit a restaurant that is self-proclaimed 'pan-asian', your first thoughts might be how likely it would be for the restaurant to perfect the culinary complexities of the vast variety in cooking styles of Asian countries. 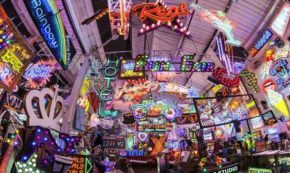 If you still haven't visited the London Wonderground on the Southbank including their charming 1920s Paradiso Spiegeltent, where have you been? 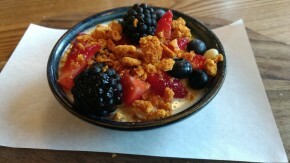 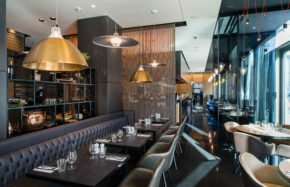 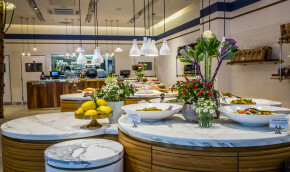 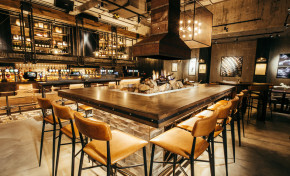 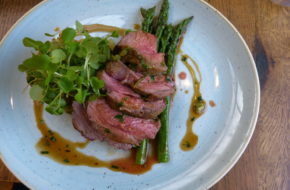 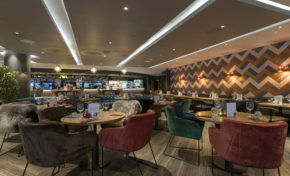 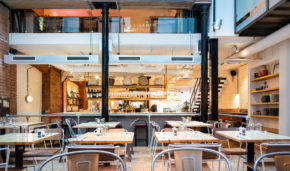 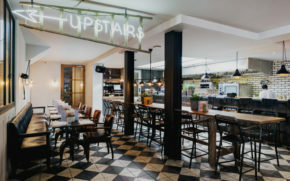 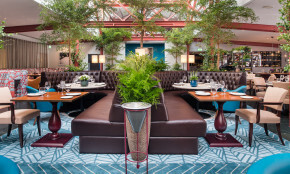 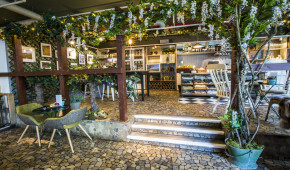 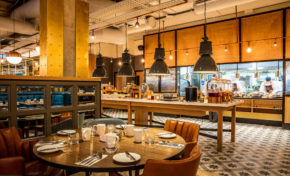 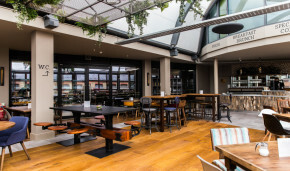 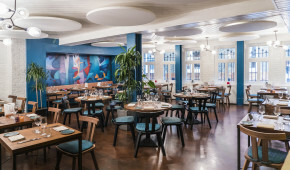 If you are looking for an informal yet stylish option to dine whether it is brunch or a late night dinner in Camden, look no further than Atrium Kitchen. 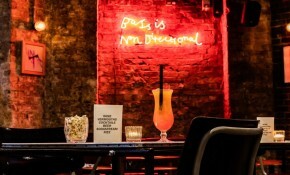 Column inches have been written about the death of Soho and the lack of a sense of community in the area. 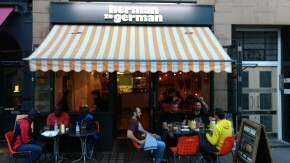 There might be plenty of venues in London offering exotic hot dog recipes, but where does one go for authentic German sausages? 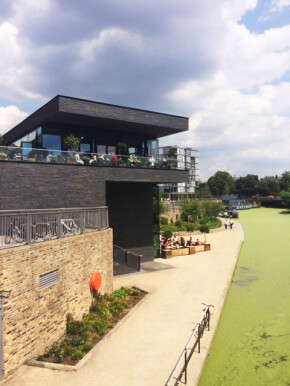 There's no better place in London to kick off the weekend on a hot summer's day than at Granary Square. 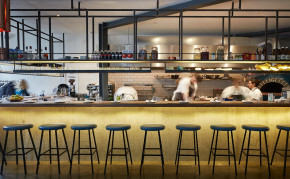 The square has been part of a major redevelopment in Kings Cross that was once an underused industrial wasteland that has since transformed into a trendy area full of bars and restaurants. 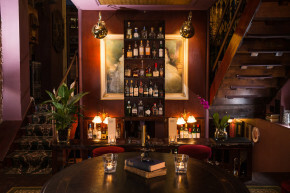 The revival in gin that has been prevalent throughout the last decade shows no signs of stopping courtesy of venues like Graphic bar in Soho. 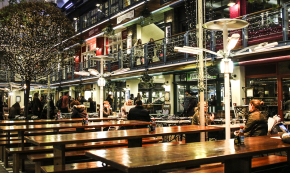 There are food street festivals and then there is Night Tales. 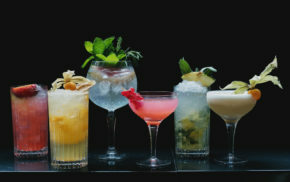 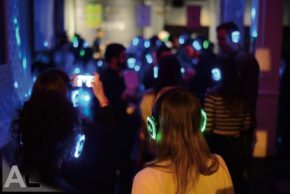 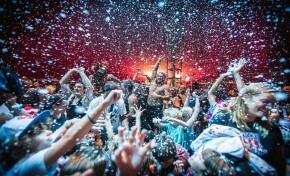 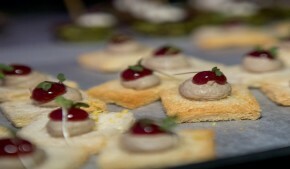 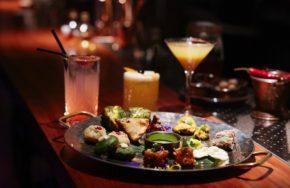 It is as much a celebration of delectable street food and drinks, as well as a musical celebration. 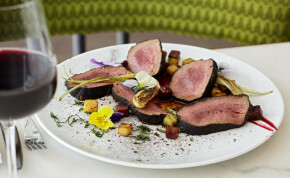 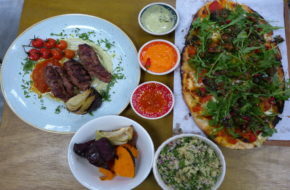 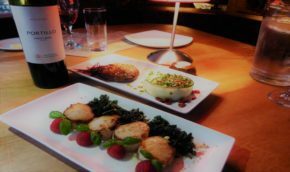 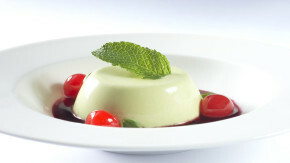 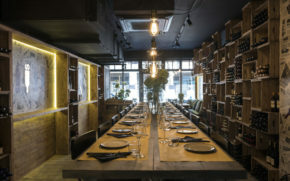 If you are looking for a classy yet quirky restaurant, Flora Indica is one to consider that delivers on both fronts. 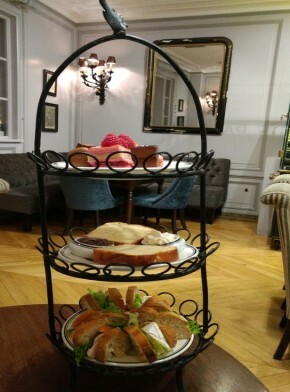 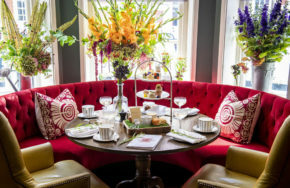 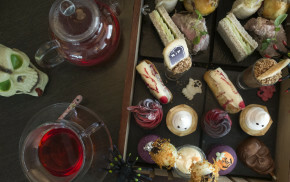 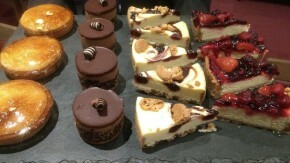 The less adventurous amongst us might think afternoon teas are only served in 5 star hotels; however a recent visit to PAUL in Covent Garden proved that brave souls amongst us are often rewarded with surprising discoveries. 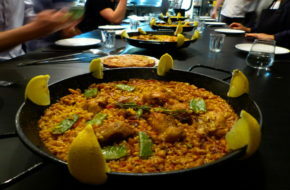 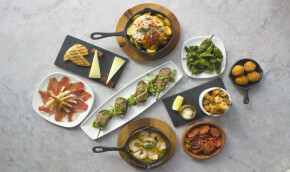 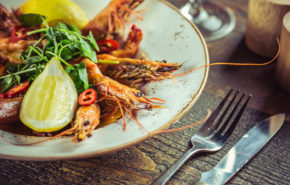 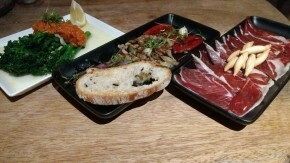 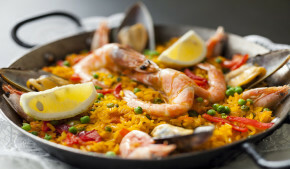 With the multitude of Spanish tapas restaurants across London, you do wonder how new restaurants can bring an element of surprise to such a popular cuisine. 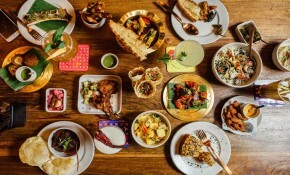 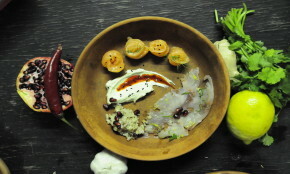 I have been to a brilliant immersive heist play where you are prepped to rob an imaginary bank; however the Heist Bank at Paddington is mostly a culinary experience rather than a theatrical experience. 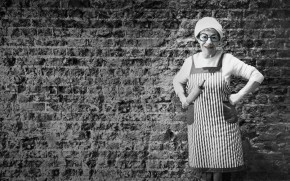 Memory likes to play tricks to people's minds. 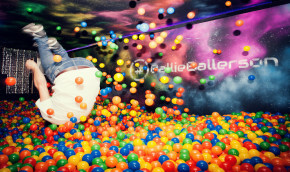 You always think the past is better than the present. 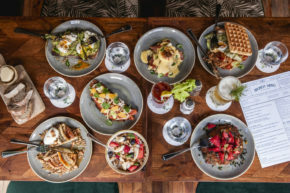 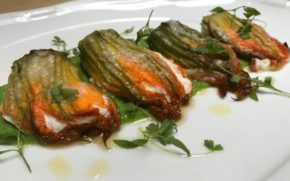 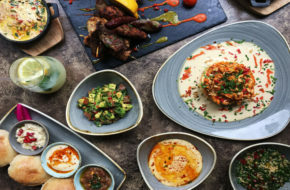 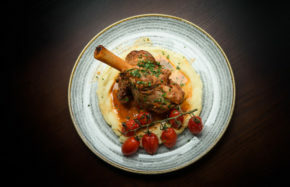 A visit to Oklava is likely to induce giddy childlike excitement simply from the sheer exoticism of chef Selin Kiazim's innovative Turkish-Cypriot inspired menu. 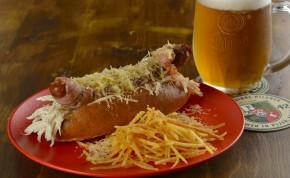 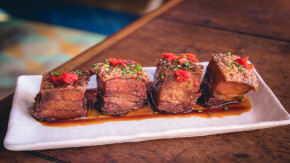 If you think Brazilian cuisine is all about churrascarias, then think again. 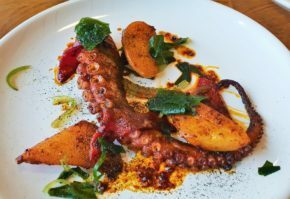 The opening of Rio Boteco in the Institute of Light in Hackney is going to change your perception of what Brazilian food is all about. 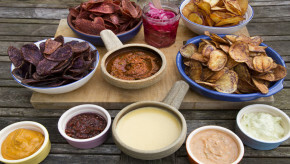 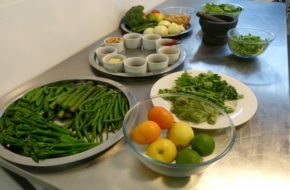 Healthy foods, superfoods are essential parts of everyday life, but they do feel like a chore. 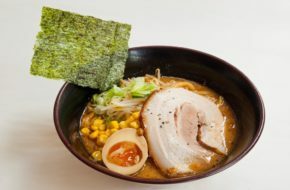 Every now and then, we all crave for the type of comfort food that will bring tears of joy to our eyes. 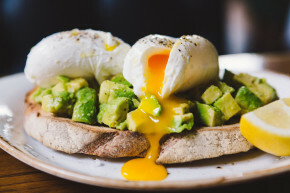 London is being flooded with restaurants clamouring for our attention to try out their latest bottomless brunch offering. 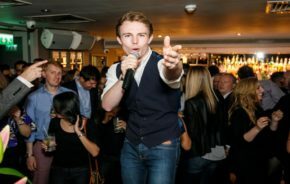 How does one stand out in such a crowded market place? 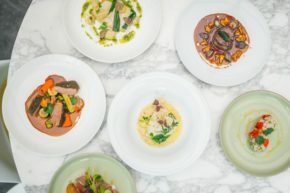 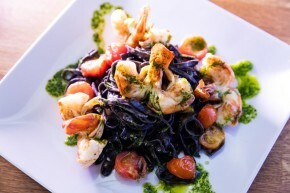 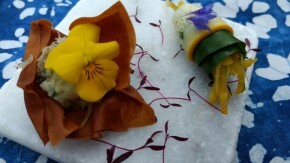 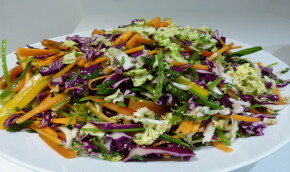 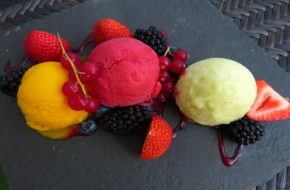 If you visit Jimmy's website, you will find that talented chef, Jimmy Garcia is a very busy man: corporate caterer, celebrity TV chef, pop-up restaurateur, wedding caterer and food writer. 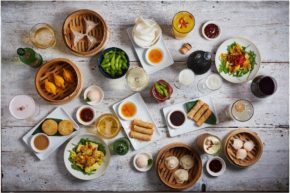 Londoners seem to be bombarded with endless bottomless brunch offers but you have to wonder where are all the bottomless evening deals? 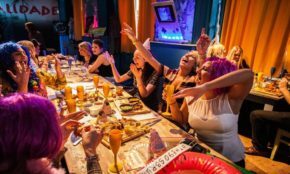 In case you have missed the clamour of 46,000 Londoners expressing an interest to visit The Bunyadi, it is London's first pop-up naked restaurant. 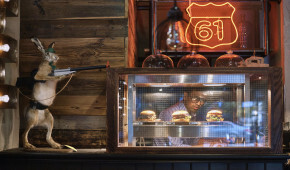 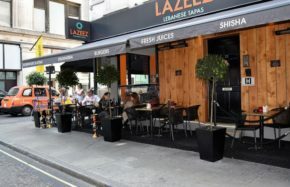 It takes a brave businessman to open up a halal burger and grilled meats restaurant which is also alcohol-free in London. 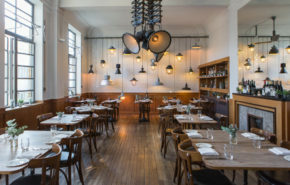 When you walk into The Alice House at Queen's Park, you might mistakenly assume you've walked into the lair of spiderman such is the network of filament lightbulbs and wires dangling from the ceiling. 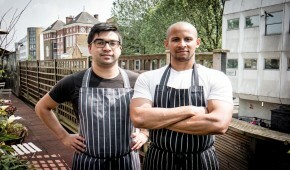 There comes a point in every head chef's career when they contemplate starting their own restaurant. 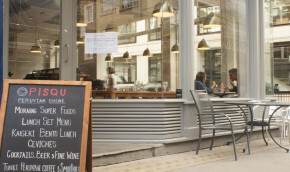 The south end of Pavilion Road very close to Sloane Square station is turning into a hub for all food lovers with artisanal, independent shops opening, which include award winning butchers, Provenance and the wonderfully welcoming wine shop that is Pavilion wines. 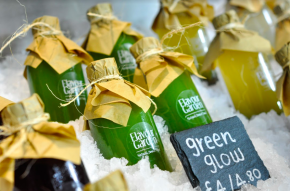 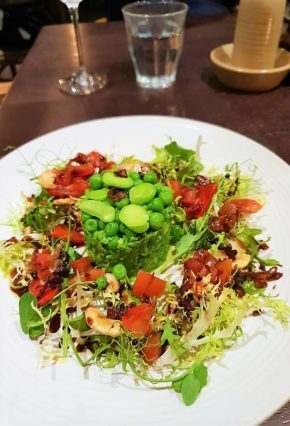 As we all know black never goes out of fashion, hence it might come as no surprise when you walk into the Gallery to discover that it has been serving, feeding and entertaining Hampstead locals for more than 15 years. 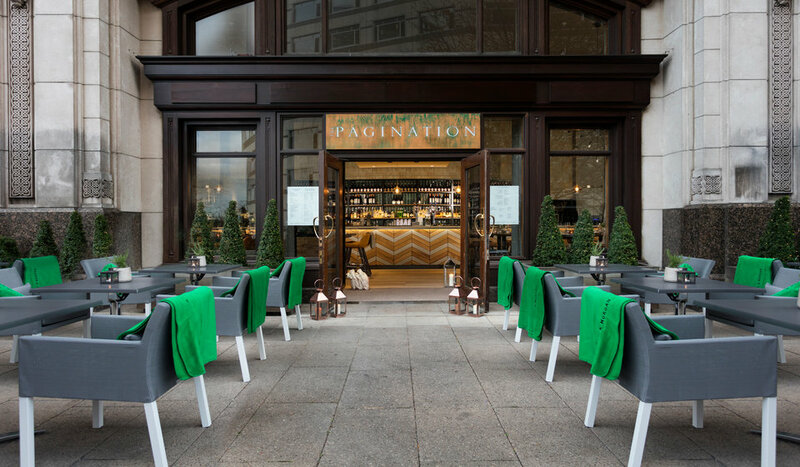 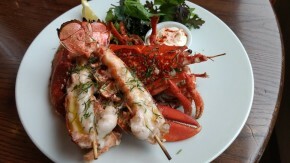 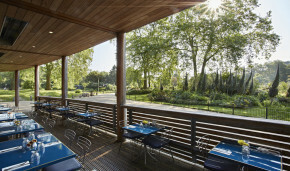 There are many great venues to enjoy alfresco dining in London, but few are as authentic and exciting as Inn the Park. 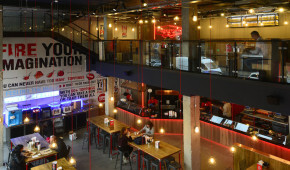 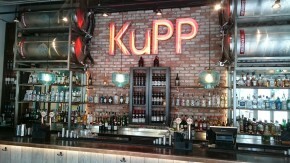 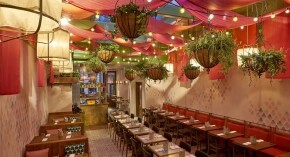 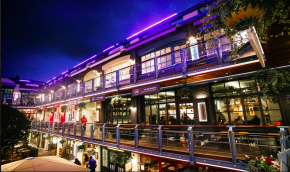 Kingly Court in Soho is rapidly turning into a must-go area for all self-respecting food lovers. 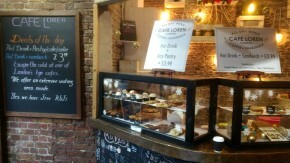 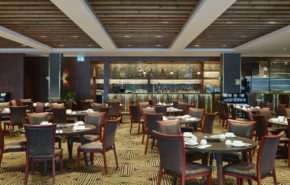 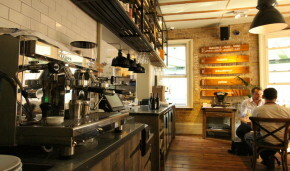 The first floor used to be for boutique clothing shops, but has been overtaken by an array of exciting dining choices. 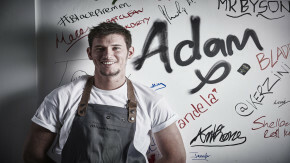 If you haven't heard of the name Adam Handling, you will be hearing of him a lot more in the not too distant future. 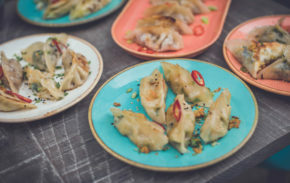 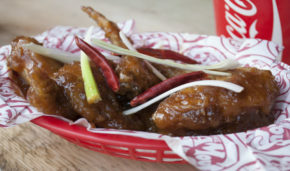 Long before the rush of street food pop-ups around London, Cha Cha Moon has been delivering high quality Chinese street food since 2008. 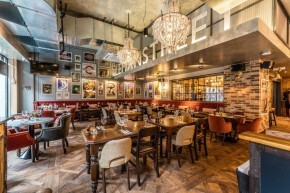 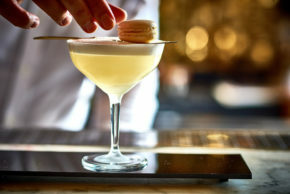 Bourne and Hollingsworth is rapidly developing a reputation as purveyors of fine food, drinks and entertainment. 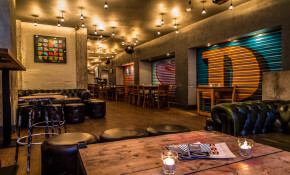 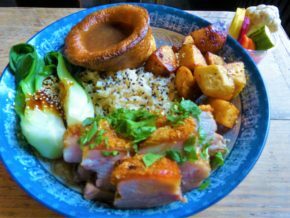 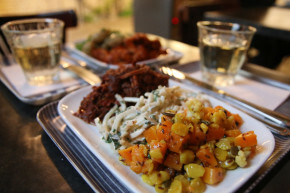 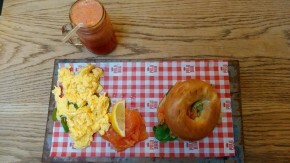 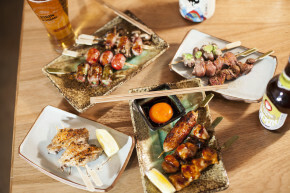 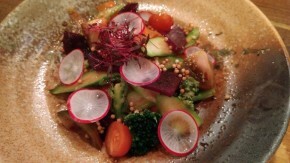 Tombo might be one of the healthiest bars you will come across not just in Soho but London. 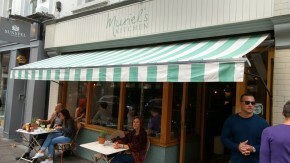 Few town centres these days still retain that quaint, village feel of a traditional British high street; Wimbledon village being one of them. 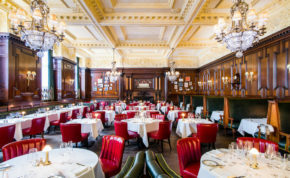 If you are looking for a leisurely weekend brunch, there are a multitude of options in London, but few are as well located as the Prince Albert. 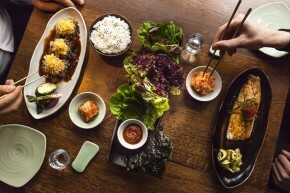 Are you bored with going to the same restaurants and having the same type of food every week? 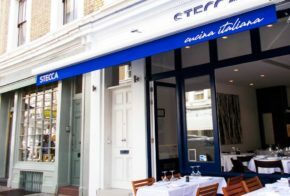 Osteria means an Italian restaurant, typically a simple or inexpensive one. 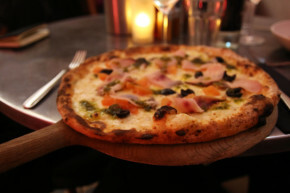 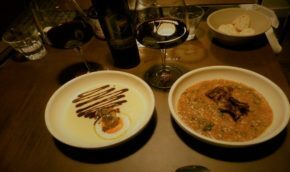 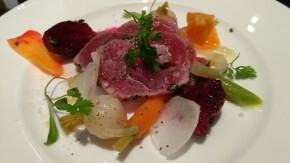 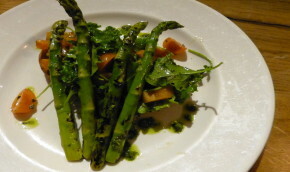 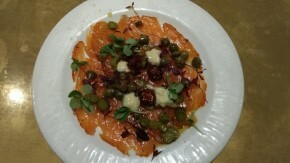 However, at Osteria 60 it is neither simple nor inexpensive. 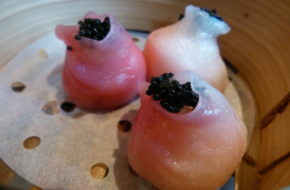 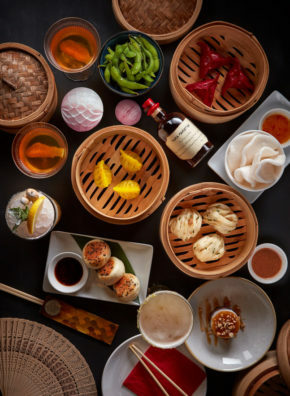 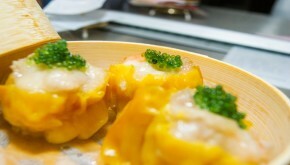 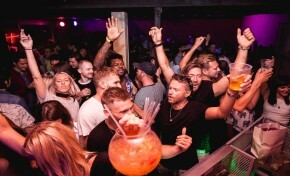 Nightclubs where you normally enjoy magnums of Champagne aren't normally places where you expect top quality dim sum, but Fu Manchu is an exception to the rule. 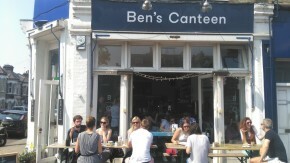 Peckham might be hip and up-and-coming but still it isn't the most consumer-friendly part of town. 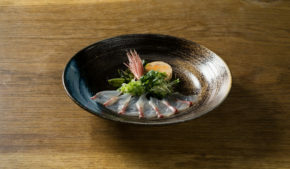 What is so admirable about Blades is they don't promise a multitude of dishes and being master of none, but instead focusing on a few key dishes and preparing them exceptionally well. 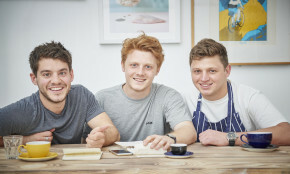 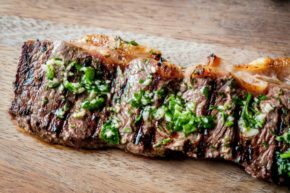 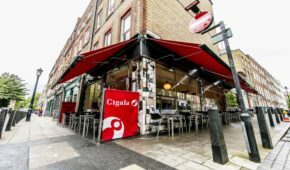 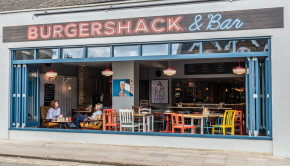 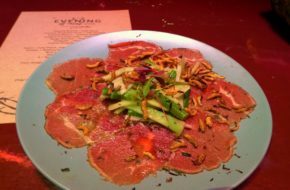 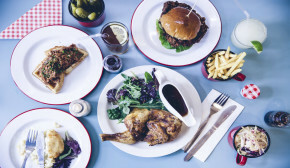 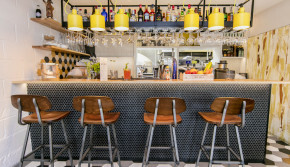 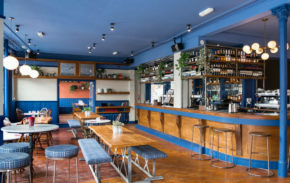 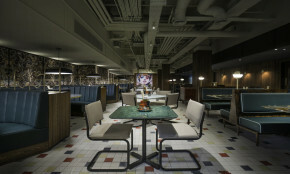 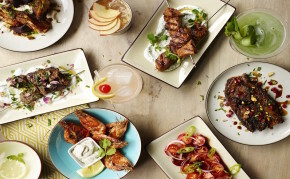 Many fine dining establishments are geared towards a more formal experience rather than offering a family friendly environment, Chris Honor has cleared spotted this gap in the market with his latest restaurant, Chriskitch Hoxton. 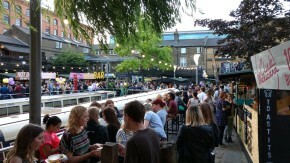 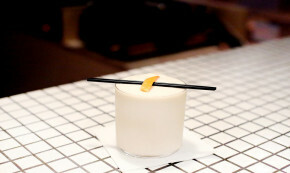 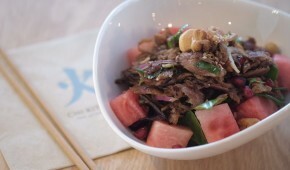 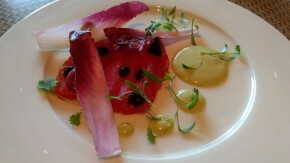 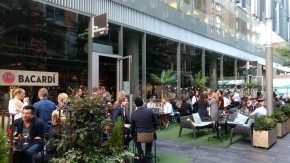 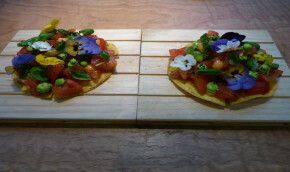 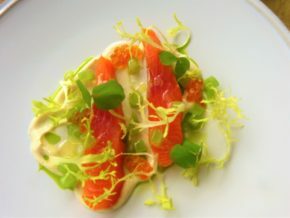 Roof East must be a contender for pop-up of this summer for the sheer variety it offers to Londoners. 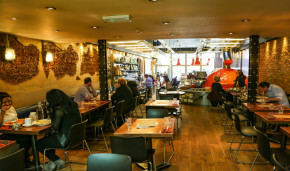 Stratford is fast becoming a popular destination for dining, shopping and entertainment. 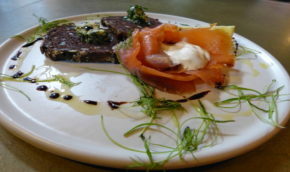 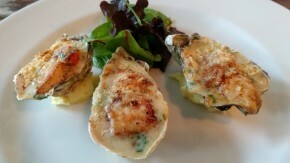 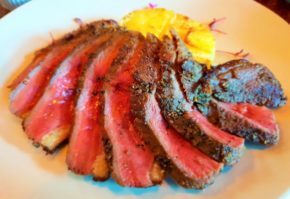 Locally sourced ingredients are buzzwords that are omnipresent in most restaurant menus these days. 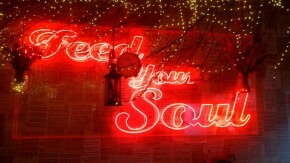 However, at the Stable, they take this concept very seriously. 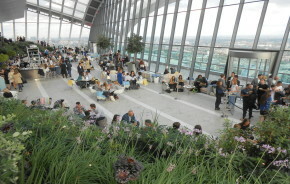 Having sauntered around some sky-high venues around central London recently, I can very positively say Sky Garden is up there with the very best. 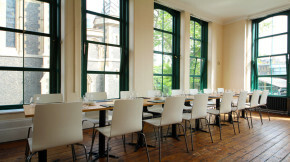 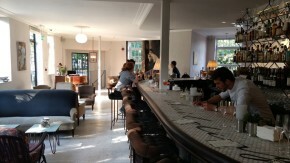 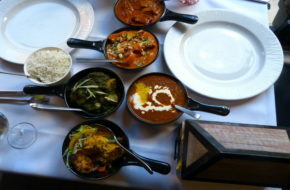 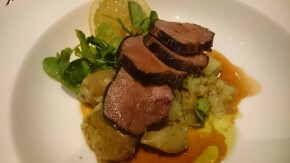 Despite the very central location, the Savannah restaurant inside the Wesley hotel isn't the easiest restaurant to find. 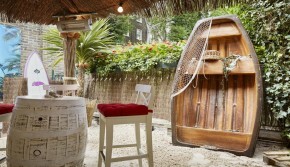 As pop-ups go, the beach bar at the Montague on the Gardens is one of the most unlikely venues you will ever see. 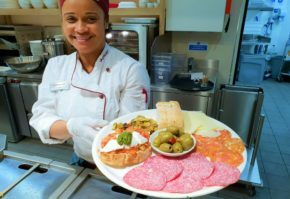 With 7 restaurants and a cookbook under her belt, there is no stopping the hardworking entrepreneur that is Saiphin Moore. 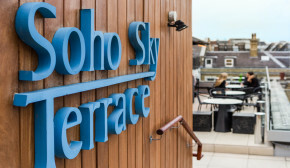 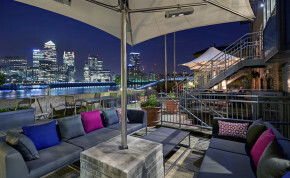 As more high rises appear over the London skyline, there has been a corresponding increase in sky bars offering panoramic views of our beautiful city. 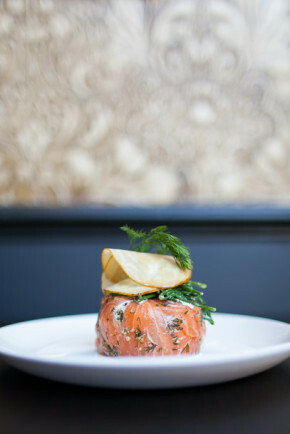 We have always struggled to match New York in terms of being the city that never sleeps. 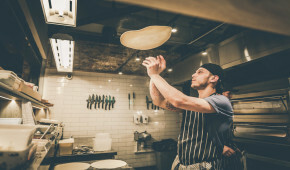 There are too many rules and regulations or workers are just not prepared to work long hours. 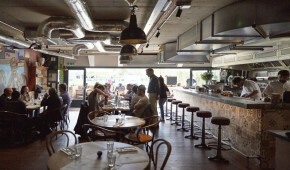 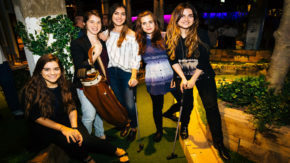 Walking around Battersea and Clapham Junction area, you can't help but notice the abundance of our antipodean cousins populating the area whether it is local residents or in the coffee shops and restaurants. 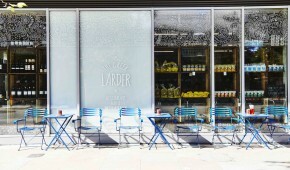 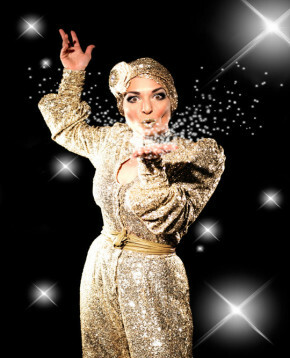 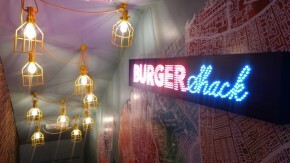 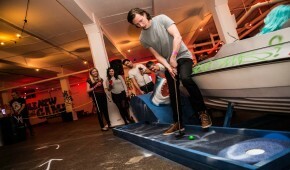 Who doesn’t like a summer pop-up to bring some frivolity to hardworking Londoners? 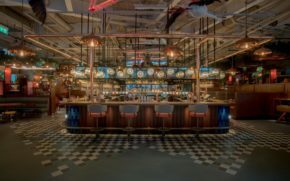 There is plenty of competition around between bars to bring the most exotic and colourful experience possible to their guests. 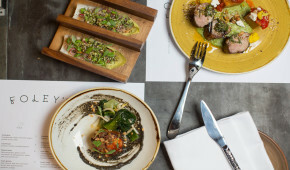 Upper Street, Islington must have one of the highest restaurant density per square mile in London, so it really is making a statement to say Galley is one of the brightest new stars to shine on this populated stretch of London. 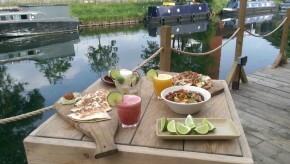 In most cultures, dining is very much a social bonding and sharing experience, none more so than when you enjoy Mexican cuisine. 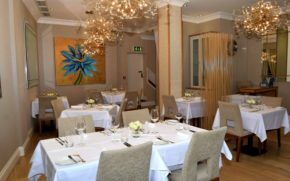 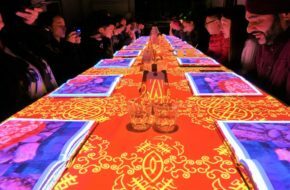 It is easy to be critical when you are spending vast sums of money dining out: the service, the food or the decor, there is generally something that is not to everyone's liking. 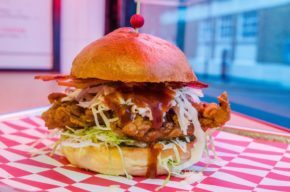 If there is a market on the London food scene that is over-saturated, it surely must be the burrito restaurants that populate all corners of our city. 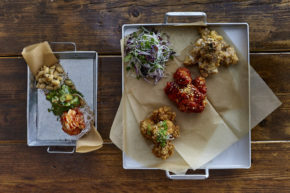 Steven Novick, the founder of Farmstand, had the vision of recreating the small, American roadside stalls found in his hometown within the state of Wisconsin. 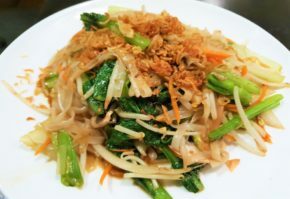 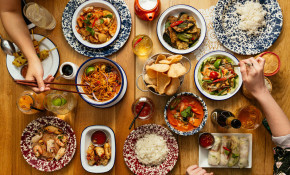 It is a sign of quality assurance when you visit a Thai restaurant in London and they have branches in Thailand, across the globe and now six branches in London. 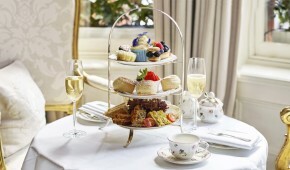 Tourists might bring a huge amount to our economy, but if you've ever been to Knightsbridge on a Saturday afternoon, you will understand the frustration of getting around trying to shop for items without having to spend the whole afternoon in the same department store. 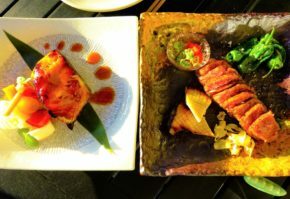 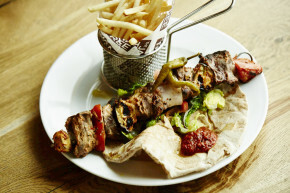 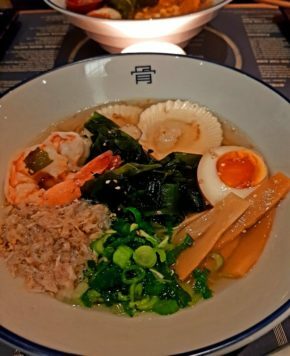 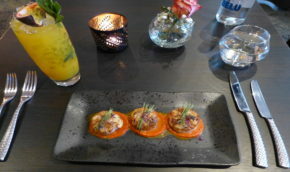 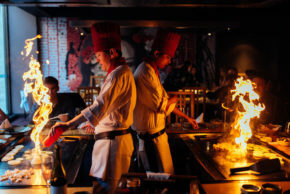 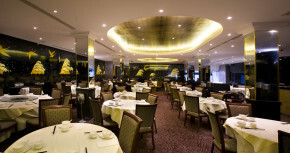 Situated at the Hilton Metropole hotel at Edgware Road, Kojawan is like nothing you will have seen before in London. 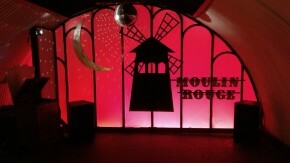 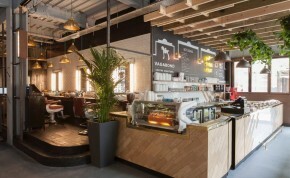 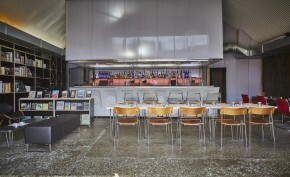 The decor can be best described using their own words "retro-futuristic". 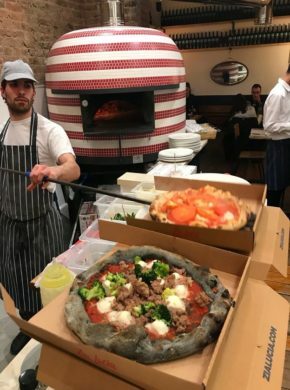 You know a restaurant must be doing something right if it's still full on a Sunday night at 21:30, which was the case on a recent visit to Pizzicotto at High Street Kensington. 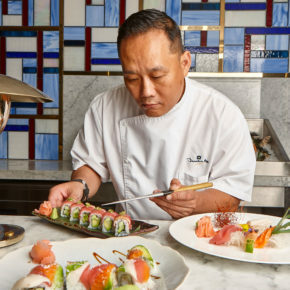 If you are looking for a rising star of the London restaurant scene, look no further than Andrew Wong, owner and head chef of A. Wong in Victoria. 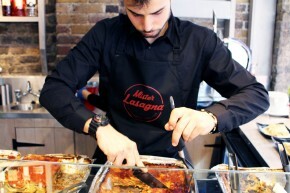 The concept is ingeniously simple: Mister Lasagna is London's first specialist lasagna restaurant serving 21 type of lasagna. 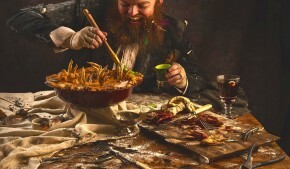 A short fictional story, often featuring mythical creatures and plants is how you would best describe a fable. 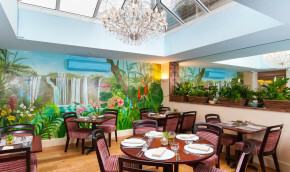 The Fable restaurant in Farringdon stays true to its origins online where it's described as being ‘inspired by the fantasy world of fairy tales.’ To me this conjures up a quirky environment full of mystery and wonder and so I was intrigued as to what lay ahead. 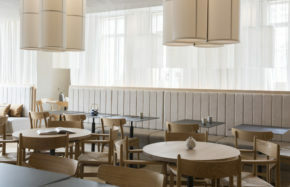 In typical Shoreditch fashion, the restaurant Rök is too cool to even have their name displayed on the restaurant front. 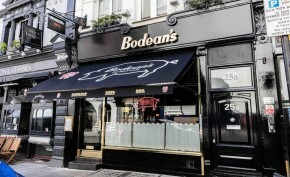 Huge credit must go to the marketing team behind Bodean's BBQ for being as upfront as possible about the meat-laden nature of their restaurants. 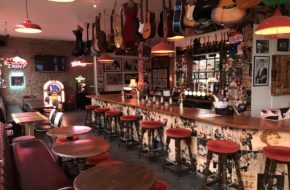 As quirky bars go, you will be hard-pressed to find many that beats the Natural Philosopher; it is a concealed drinking den by night that is a vintage-style Mac repair shop in the daytime. 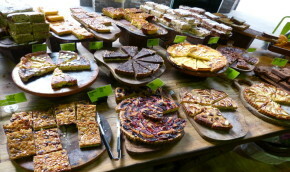 Like Hansel and Gretel’s discovery of a house laden with treats within a forest, I discovered a shop full of indulgence on the edge of Regent’s Park. 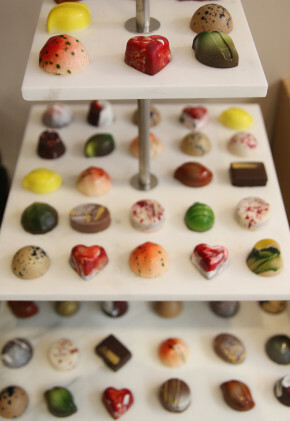 The Choconut boutique was just as deadly with its lavish window display full of highly decorative confectionery and a large chocolate fountain to lure you in. 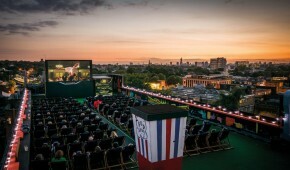 Summer is fast approaching and we will soon see a host of fantastic pop-ups appear around the City. 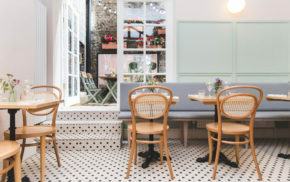 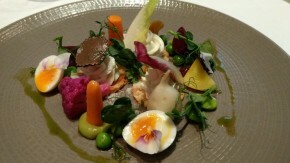 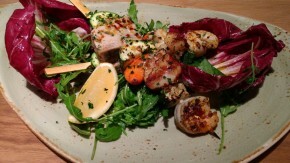 First off the mark is "La Petite Provence" at The Folly. 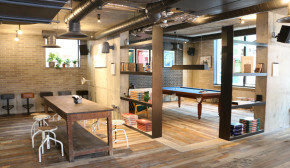 It is hard not to be jealous of those lucky people who live in East Village, where the former Olympic Village used to be: pristine apartments, spotless streets and wealth of sporting facilities in close proximity. 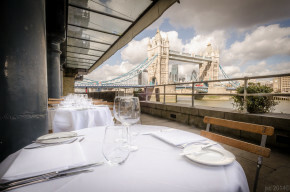 When selecting a location for a pre-show dinner, there's no better choice than within the venue itself, particularly when it sits inside one of the world’s most historic buildings. 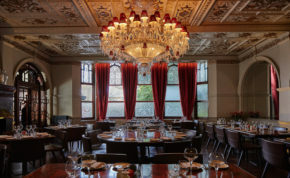 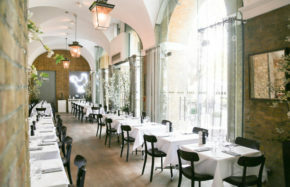 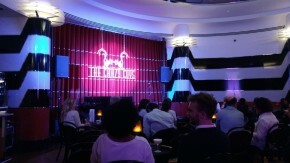 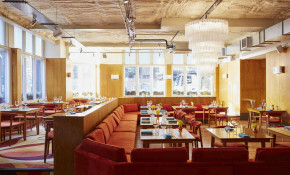 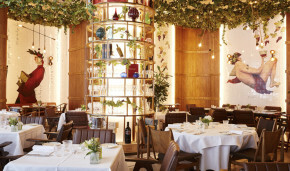 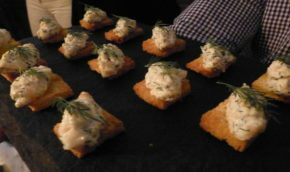 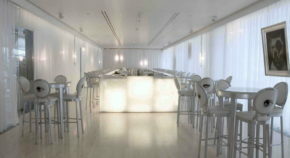 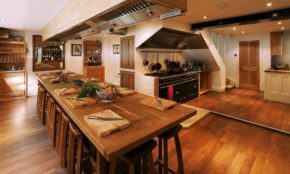 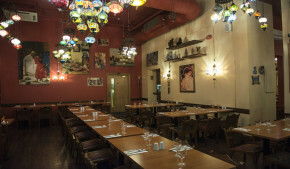 The venue in question is the Royal Albert Hall, which houses the charming Verdi Italian kitchen. 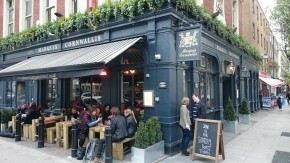 If you are looking for a classic, quintessential British pub experience then a visit to the Marquis Cornwallis in Bloomsbury must be high on your list of must visit pubs. 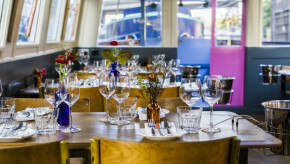 There are not many restaurants in London where you can arrive in style like taking a romantic ferry cruise to reach your restaurant. 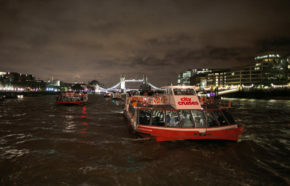 That is indeed the best way to reach Columbia restaurant via a short ferry cruise from Canary Wharf pier. 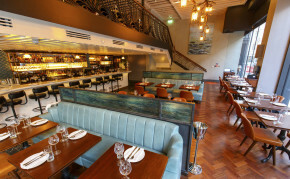 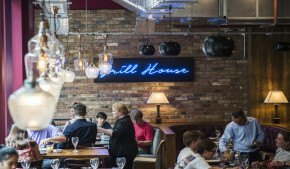 It is a surprise when you stroll into Butlers Wharf Chop House to find it has been around for 23 years. 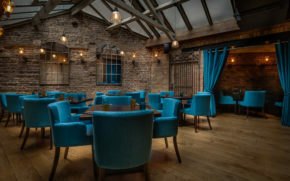 Sure it must have had some refurbishment over the years but it could easily have been a restaurant that has just opened last month. 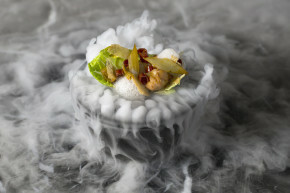 If you observe photos of famous chef, Raymond Blanc, most of them have a giant smile radiating from Monsieur Blanc. 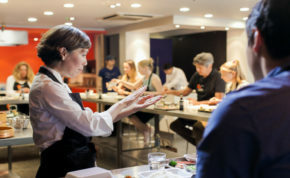 It is this joy and passion that is evident in the restaurants that he owns from the decor to the service down to the staff. 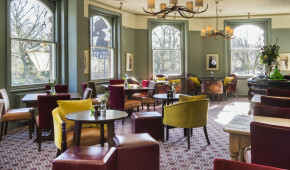 The Geronimo Inns are rapidly developing a reputation for delivering high quality gastropubs. 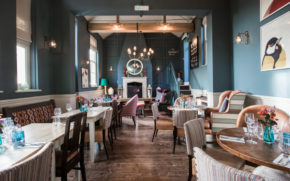 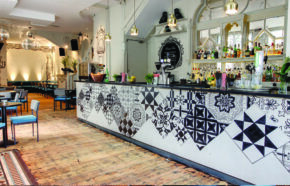 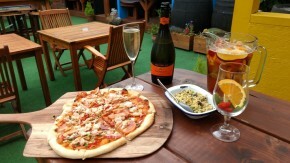 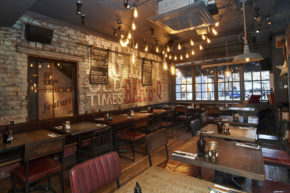 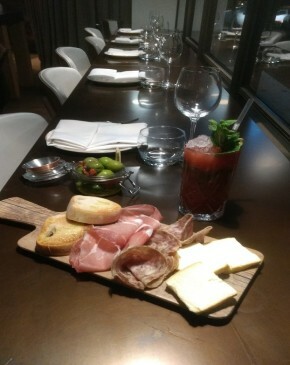 From the Builders Arms in Chelsea to the Bull in Westfield, they are all renowned for attentive service, exciting food offerings and comfortable settings. 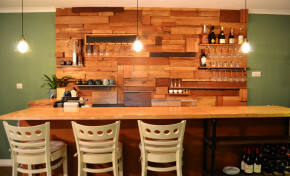 Izayaka is the Japanese word for an informal drinking establishment. 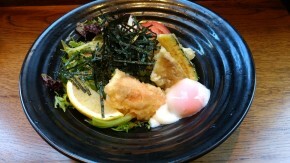 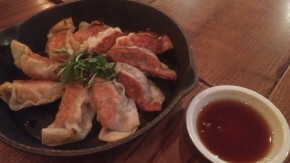 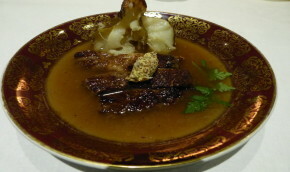 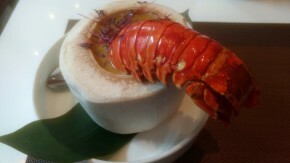 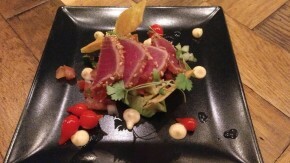 However, the food plays an important role at Izayakas. 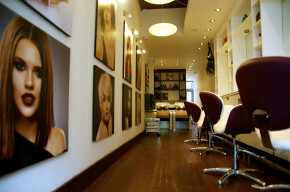 As the weather begins to heat up and the wedding season kicks off, it’s time to begin the grooming process. 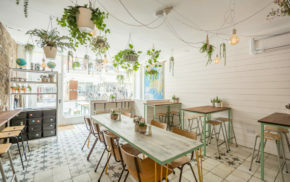 Whether you want to tame your winter mane and achieve sleek, smooth results through a keratin treatment or give yourself a sun-kissed look with Balayage highlights, Beautyworks Blow Dry Bar in Crouch End will sort you out. 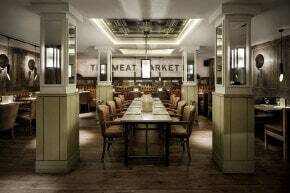 When you are situated next to one of the largest wholesale meat market in Europe, you surely know what you will be ordering for your main course. 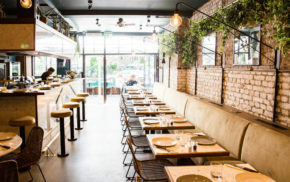 The Petite Corée sets itself out as a friendly neighbourhood restaurant in West Hampstead and it's hard to disagree when you visit their simple, yet clean website and also when you arrive in person. 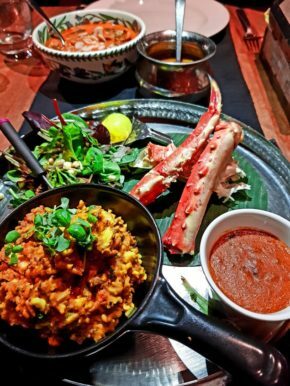 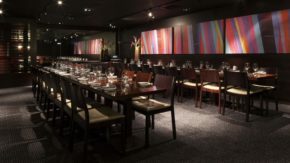 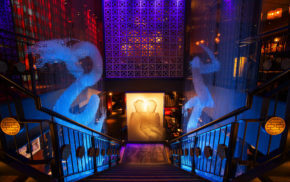 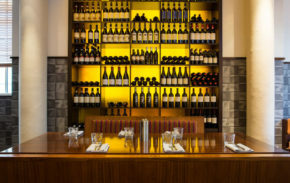 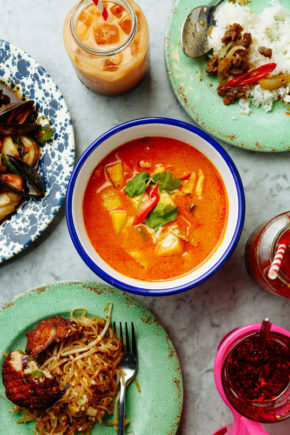 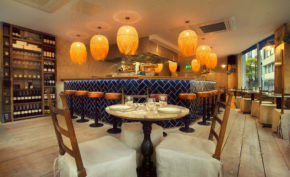 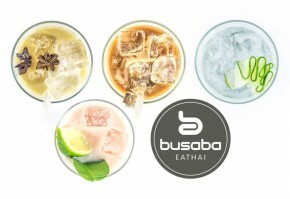 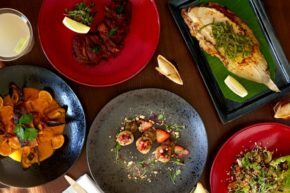 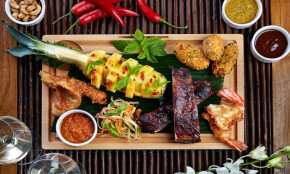 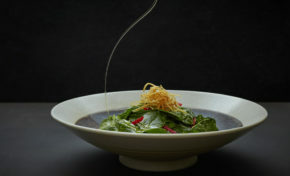 Busaba Eathai, a chain of eateries across 12 London locations, truly epitomises the Thai dining experience. 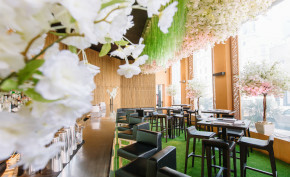 On entering one of its establishments at St Christopher’s Place, the floating gerberas and tea lights combined with the fragrant waft of jasmine incense instil a feeling of calm. 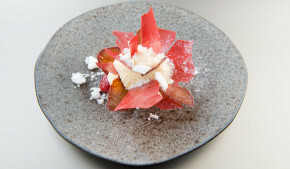 Tasting menus are every food lover's dream but they can be very stale and soulless affairs in pompous dining rooms. 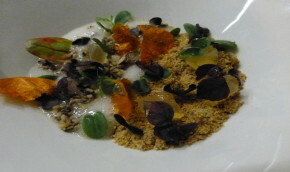 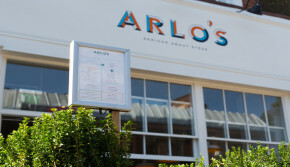 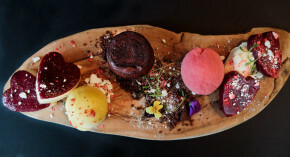 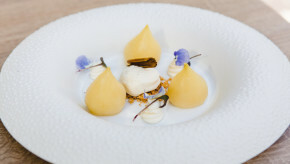 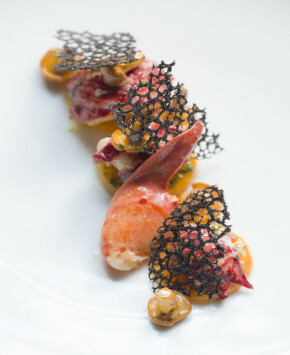 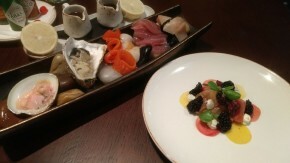 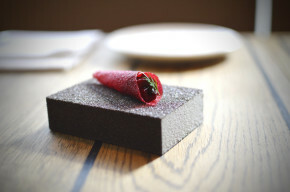 Luckily the founder of Anglo, Mark Jarvis has delivered one of the most understated and accessible tasting menus around. 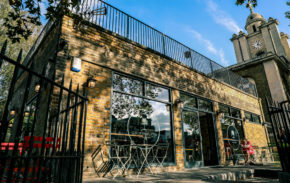 I've been told by a reliable source that Deptford is the new Dalston; although indications from a recent visit suggested that was still some distance away. 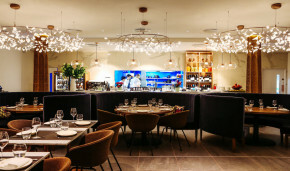 I don't normally start off a review with an obituary, but the recent passing of Prady Balan reminds us of the tremendous work he has contributed to the restaurant scene in London and across the world. 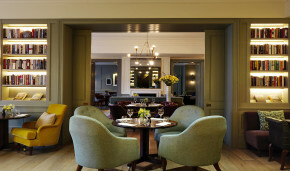 Galvin HOP is defined as a Pub Deluxe by their owners, but what does this mean? 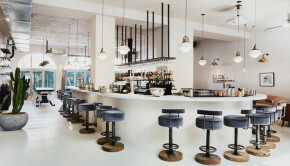 Is this the French definition of a gastropub? 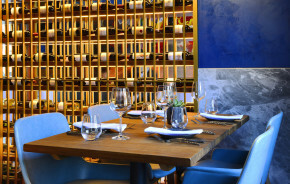 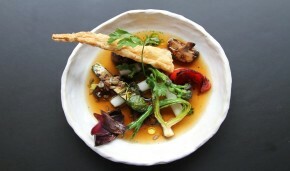 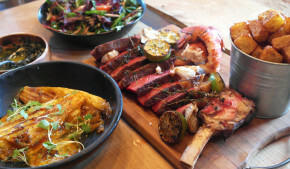 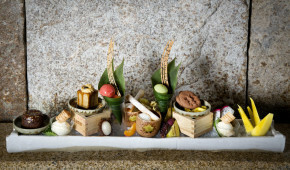 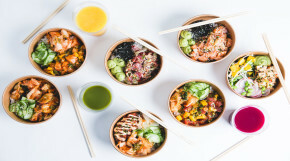 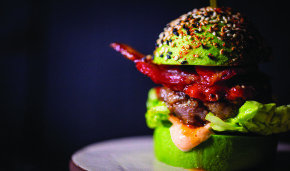 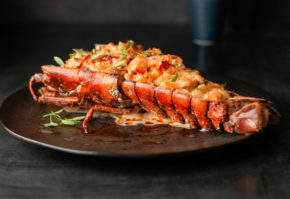 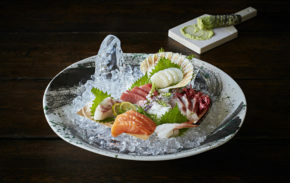 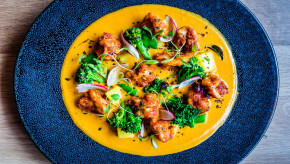 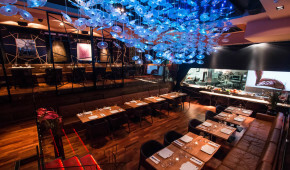 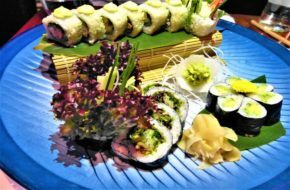 Within recent years, London has seen a new wave of restaurants fusing together Japanese and Peruvian ingredients, otherwise known as Nikkei cuisine. 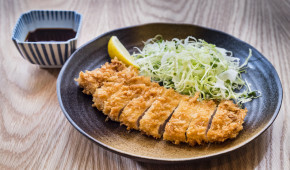 Given fish and chips is one of our national dishes, it is somewhat surprising when you ask your friends when was the last time they enjoyed this national delight: the answer is mostly I don't remember. 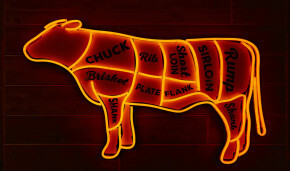 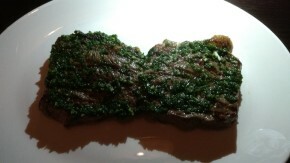 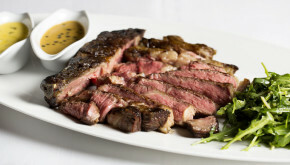 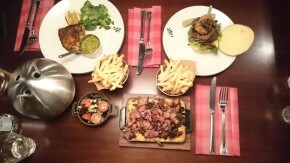 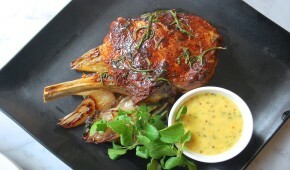 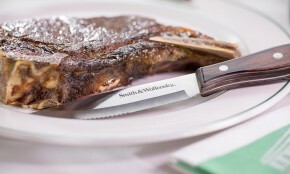 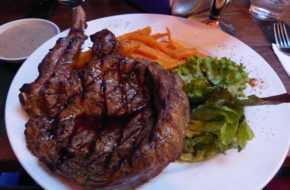 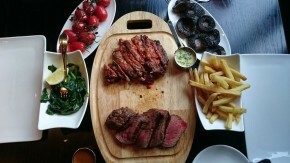 With the abundance of steakhouses in London, it can be a gamble whether you will get a premium cut or a braising steak. 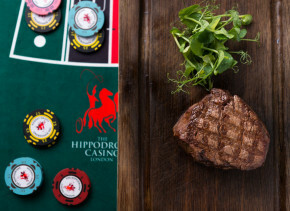 Perhaps the last place you would look for a surefire bet is at a casino, but the Heliot Steak House at the Hippodrome casino is a must visit for all steak lovers. 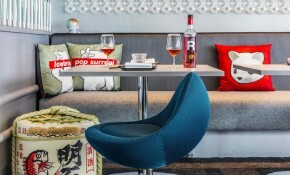 It's time to dispel the myth that everything has to be expensive at hotels. 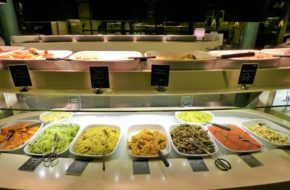 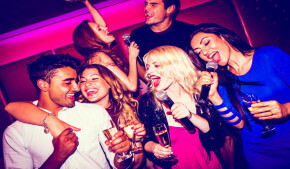 Yes, the mini-bar in your hotel room might be pricey, but there are always great value deals to be found.